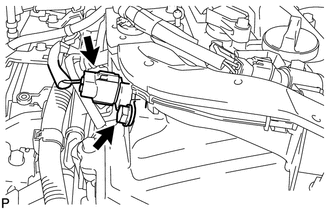 (a) Apply a light coat of engine oil to a new O-ring, and install it to the oil control valve. 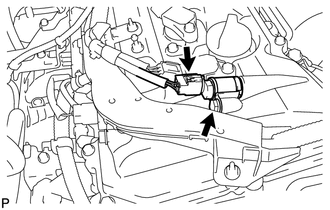 (b) Install the oil control valve with the bolt. 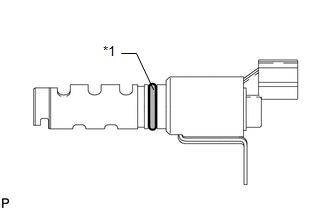 Do not allow foreign matter to contact the oil seal face of the oil control valve (connecting surface with cylinder head cover). Be careful that the O-ring is not cracked or moved out of place when installing the oil control valve. (c) Connect the oil control valve connector.